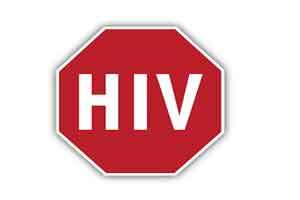 Kohima : Nagaland Minister of Health and Family Welfare P Longon has expressed serious concern in view of the current status of HIV in the states, where Nagaland ranked number one in terms of HIV prevalence in the country. Inaugurating the Community Awareness and Development (CAD) Foundation on prison HIV intervention under project sunrise FHI360 at the Central Jail in Dimapur yesterday Longon said it should be a concern for everyone at the increasing rate of HIV spreading the state despite of the tremendous and continuous efforts undertaken by Nagaland state AIDS control society and all concerned stakeholders and thereby he felt that more efforts needed to be made from all quarter to address the issue. “Stigma and discrimination still prevails and thus we are yet to create an enabling environment for those infected for accessing the different facilities provided by the government” Longon added. The Minister also appealed all to understand the various issues and aspects of the disease and have an in depth knowledge which would further result in better understanding, acceptability and better coordination of different stakeholders involved in HIV care and treatment in the state. He also felt that the need to make use of the various platforms and make HIV/AIDS as priority and by this it would ensure that those infected would be provided with the best available treatment and further stop the spreading of the virus. Applauding the intervention project to address awareness and education on HIV to the prisoners, Longon appealed the prison department and prison staff to provide assistance and coordination wherever necessary to the implementing agency. He also believed that Nagaland state AIDS control society, family health international 360 and NGO implementing agency community awareness and development foundation Dimapur would do justice to the programme in carrying out the different activities inside the prison.